A portable washing machine may be a great option if you live in a place that doesn’t have an in home laundry room. Portable washers are compact and can be moved when not in use. More importantly, they do a great job getting cloth diapers clean! Some have even claimed it cleans better than a full size washer! 1) Rinse with tub full of cold water, powdered tide a 1/4 of the way to the 1 mark. Just enough to cover the bottom of the scoop. Run for 9 minutes on strong. 2) Fill tub with warm/hot water. Once the diapers are just covered by the water start the machine. You want a stew like consistency. If you use too little water the machine won’t move the diapers around, if you use to much the diapers won’t agitate properly, They’ll just swim around in the water. It’s easy to know when you have enough water though because the diapers will rotate smoothly. Then fill scoop 1/2 way to the 1 mark. Set for 15 Minutes on strong. Repeat step 4 and 5 until water runs clear. Once water runs clear, spin diapers for three minutes and hang to dry. Notes: You can put a smaller portable washer right in your bathtub. If the hoses don’t fit your hookups, just use the shower head to fill the machine. You shouldn’t have to strip with a good wash routine. But if you find that you have hard water mineral buildup or just want to do a deep cleaning, you can do it right in the portable machine! I highly recommend using GroVia Mighty Bubbles for this. This must be done on already washed, clean cloth diapers. Place one pod in before filling. It’s normally one Mighty Bubbles pod per 24 diapers (this is one full diaper including inserts, or a prefold.) If you have more than 24, do it in another, separate load following the same directions. Don’t use this method for less than 17-18 diapers or you will have suds for days. Use the highest water level and hot water. Set the machine to the longest cycle on strong. Do not add detergent or other additives. Do one warm or hot rinse. May need to repeat rinse depending on the machine. 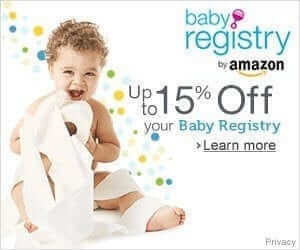 If the cloth diapers still smell or seem to have issues such as causing rashes, repeat treatment (up to 3 times). No need to soak with the Mighty Bubbles. GroVia strongly recommends against it. Keep pods away from children. Do you use a portable washing machine for cloth diapers? Any tips you can share? 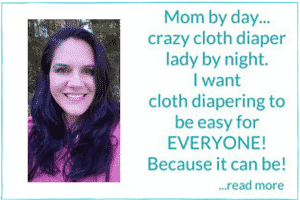 Smart Bottoms Rainbow Love Cloth Diaper Giveaway! I have the Haier portable washer from amazon and I’m considering stripping my diapers for a good deep clean. The problem I have is that my machine cannot function with more than 14 diapers and inserts in it. (I tried today with16 and had to take out a sink full of inserts to get the washer to run it properly). Is there a way to use the mighty bubbles with this machine? Mighty bubbles specifically recommend against it for such a small amount. I couldn’t say for sure what would happen. There would certainly be lots of suds. I’m not sure how that would affect the machine itself. 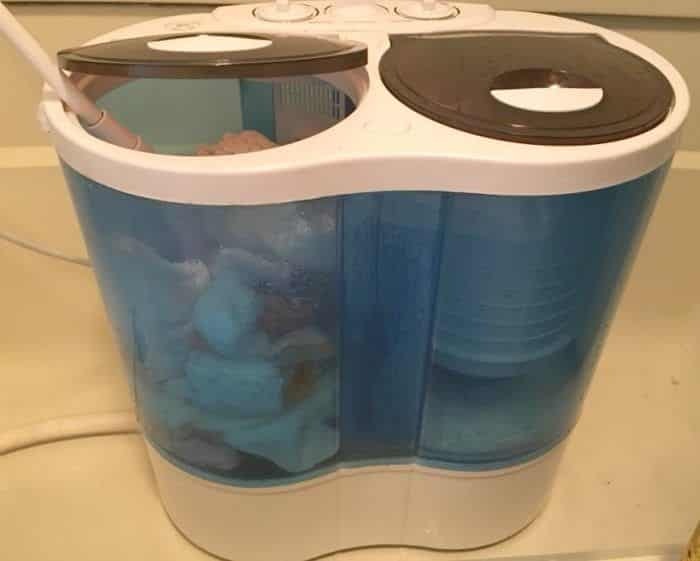 Thank you for posting this, just getting ready to start cloth diapering and bought this exact machine several weeks ago since we live in an apartment. I have already cut down so much of our laundry bill! Well worth the investment but helpful to have a guide for diaper wash! Thank you! Can’t wait to try it. That’s awesome! I’ve heard people say they work so well! I hope it does for you as well!